/ What Are the Symptoms of Mold Illness? What Are the Symptoms of Mold Illness? 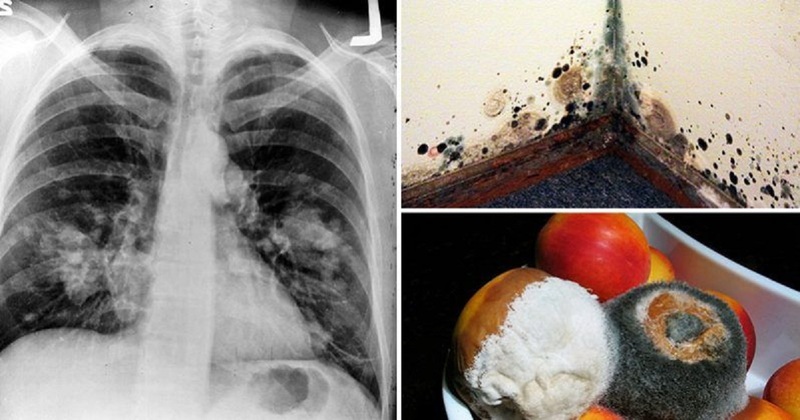 Millions of people are exposed to mold every day, and they do not even know it. Mold is a silent danger to our health. It can grow below floors, in food, and behind walls, and it can be a reason for many illnesses. If you do not deal with the mold at your home, it can seriously affect your health by breaking down your immune system. Suffering from mold toxicity makes people feel frustrated because they cannot understand the cause of their problem. You can find out if your home is exposed to mold with a test. There is a thing about mold you should know, it releases mycotoxins, invisible chemicals that are really difficult to kill, but it is possible. They contaminate everything in your home, from clothes to furniture. The biotoxins distress your immunity, the nervous system, joints, and so on. Also, they can change the way you feel, think, and the length of your life. Besides mycotoxins, molds generate allergens and irritants that affect sensitive people. According to studies, twenty-five to twenty-eight percent of people living in North America have problems with buildings damaged by water. The symptoms of mold toxicity are similar to some other diseases as well as syndromes, so it is often misdiagnosed. Often, it is confused with Fibromyalgia, Lyme Disease, Chronic Fatigue Syndrome, Celiac Disease, and so on. Also, the mold can affect the eyes, skin, lungs, etc. Since fifty percent of buildings in the USA have water damage, there is a chance that you have been in a room with mold. Poorly ventilated and damp places are perfect for mold to grow. It can start with a leak in a roof, a plumbing problem, etc. Mood can grow underneath a carpet, in poor construction materials, in wood, behind drywall, and so on. And, HVAC systems collect moisture and dust which is a perfect area for mold to develop. It does not just grow in dark and damp places, but it can grow in arid and dry climates too. Some foods that contain more mycotoxins are coffee, nuts, chocolate, wine, and grains. If the mold from your surroundings affects you then, you can be vulnerable to yeast or mold in food. Each day we are exposed to viruses, chemicals, pesticides, bacteria, and solvents. All of these can make us weak, so we need to get rid of mold if we want high focus, high performance, and a lot of energy. You need to inform about mold if you think it is a danger to you. When you get rid of mold, you will notice improvement, a recovery protocol, and you will go back to normal. Since awareness about mold is becoming bigger and bigger, so do the methods. Environmental Relative Moldiness Index is developed by EPA and it is a test for mold. You can take samples from the environment in which you spend time and test them. If the tests show that your environment has mold, you should consult a mold professional. Also, you will need a contractor grade drying system. Make sure to test again after fixing the leaking, drying, and removal of mold, before you move back. You need a doctor who is trained in Shoemaker Protocol or who knows about mold illness. You will need to go through the detoxification process. Avoid food with yeast, fungus, or mold, such as sugars and carbs. Use supplements such as Glutathione, activated charcoal, and other products to restore your mitochondria. You can check out Moldy the Movie which is a documentary about mold and everything you need to know about it. Make sure to take care of your environment and your health, do not let mold threaten your life.